This program is available statewide, free of charge, regardless of the insurance of the individual with HIV or AIDS. Case managers are located in a variety of settings, including St. Francois County Health Center, local health departments in other counties, and community-based organizations. A complete listing is available from any regional office or directly from the Missouri Department of Health, Section of STD/HIV/AIDS Prevention and Care Services, P. O. Box 570, Jefferson City, MO 65102-0570. The only criteria for participation in the program is that the client is . . .
Case managers may be Social Workers, or Registered Nurses. 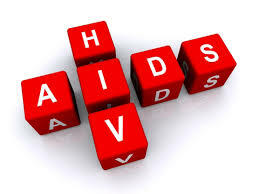 Case managers have education and experience in working with individuals with HIV/AIDS and their families. All case managers operate under the same policies and procedures. to ensure staff are available on the date of your planned visit. FDA warns of illegally marketed HIV test kits. Many test kits are illegally marketed in magazines, news papers, and on-line. Consumers beware! There is only one FDA-approved home test kit system for HIV. Click the HIV Home Test Kits poster for additional information from the FDA. in the United States that have HIV and don’t even know it. health and their own lives. Where can HIV be found?